Sales funnels are powerful. I’ve personally seen a single sales funnel produce over $100k per month. But creating a funnel can be daunting, especially if it’s your first time reading about sales funnels. 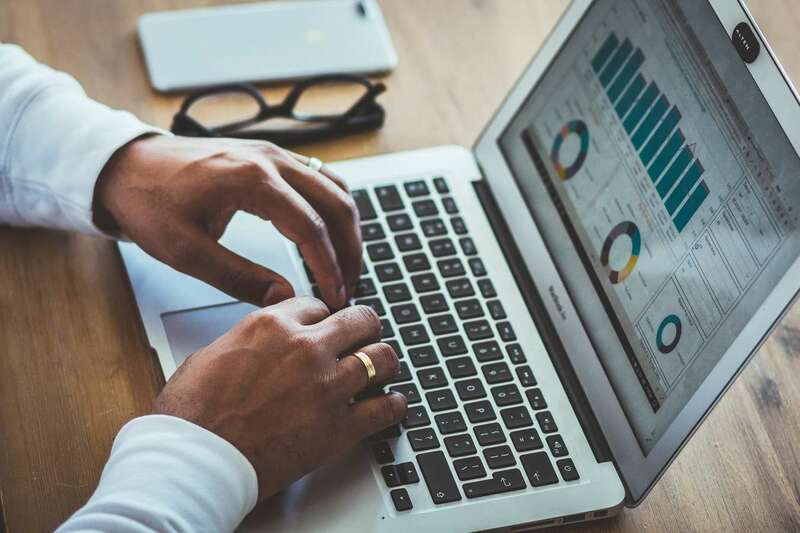 This post will serve as your guide to creating a solid, well-performing sales funnel that will net you more leads and sales. In today’s digital world, users are spoiled because they have so many choices. So unless you already dominate your market, you’ll need some way to show users your value. Why should they choose you? A well-crafted sales funnel is the perfect opportunity to prove your worth. You get to provide loads of value before the user has even tried your product. They have the chance to get to know you—the humans behind the product. And that builds trust, which leads to purchases. 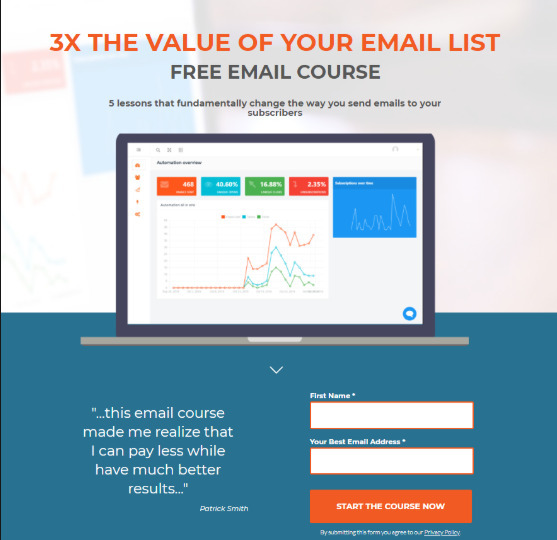 Email marketing is powerful; it makes up the bulk of your funnel. 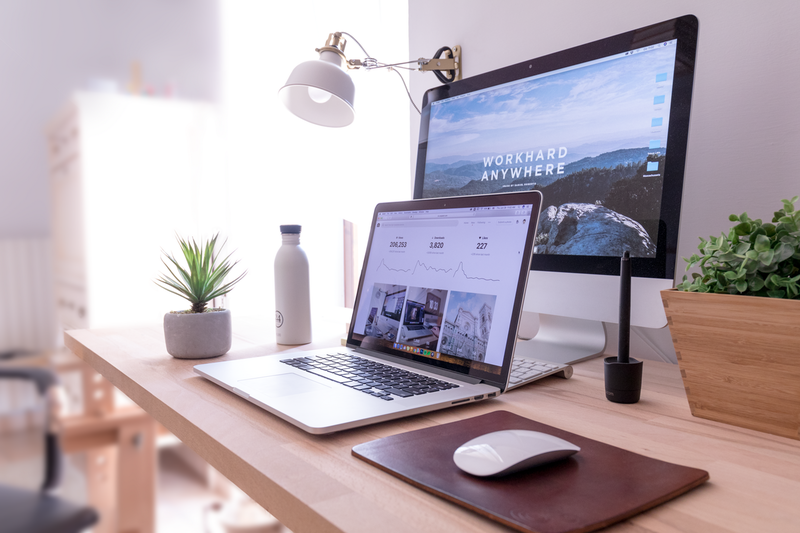 According to a study by Smart Insights, 81% of business owners and marketers report a positive ROI from email marketing. There are countless online studies on email marketing. And the vast majority report positive returns. Some businesses are even solely built around email marketing. So if you don’t have a sales funnel in place, you’re basically losing money. 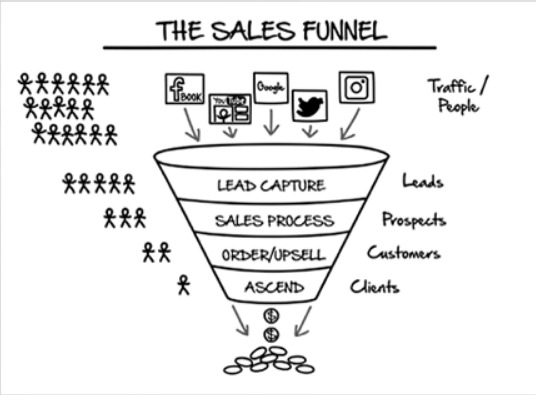 Sales funnels contain various stages between the front and back ends. Longer funnels also have a “mid-funnel” stage. The length of your funnel depends on your service. But we’ll cover that in the next section. 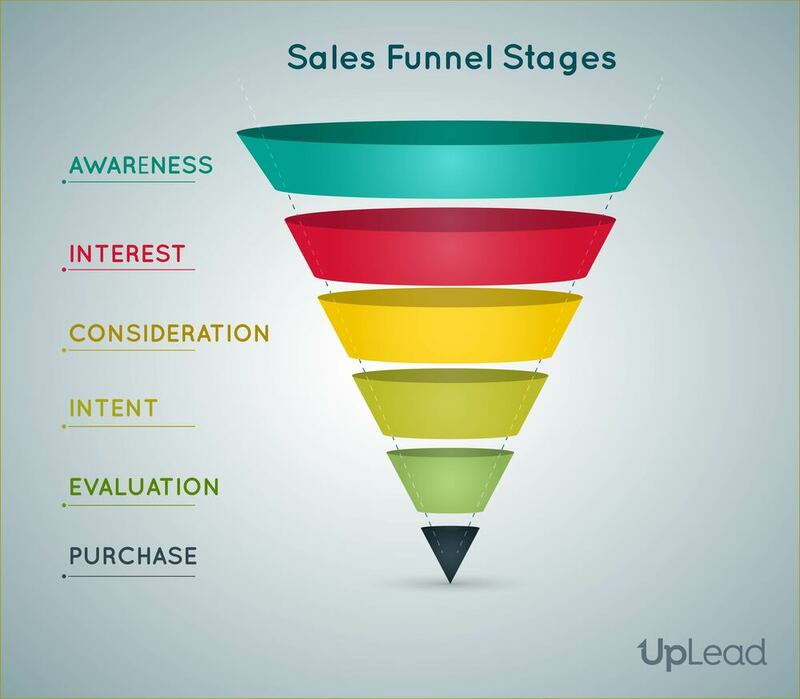 For now, let’s take a look at the stages of a typical sales funnel, and the purpose of each stage. At this stage your user reads about you for the first time. It could be through an ad, a blog post, a cold email you’ve sent out, etc. How ever they hear about you, they’ve now aware that you exist. Ideally, they’ll transition to the next step. Whether they’re reading an ad or an email – the content needs to draw them in. Get them interested. If you go the lead magnet route, you’ll want them to sign up for whatever it is you’re giving away for free. For example, it could be an exclusive report, an ebook, a webinar, etc. But to have a user sign up for your lead magnet is a clear show of interest. And then it’s time to nurture that interest. After consuming a valuable piece of info like your lead magnet, a prospect should already be heading towards the consideration phase. But, to help things along, we have the nurture campaign. It’s a series of emails designed to ease the user into consideration, and push them towards intent. A typical nurture sequence contains between 5 and 20 emails. This stage is the perfect chance to expand upon the value in the lead magnet, and give your leads a little bit more before they reach the home stretch. Now that the prospect is considering your product or service, we can give them that final push to where they’ll make a purchase. We need to get them into the evaluation stage, where they’ll be working out what benefits await them should they sign up. A sales sequence is what closes off the funnel. This is a short series of emails restating the benefits that have been peppered throughout the communications. A typical sequence at this stage will contain between 2 and 10 emails. And, if successful, will close the deal and lead the customer into a purchase. They buy your product. But it doesn’t end here. If they reach this stage and don’t buy, there’s the option of adding a downsell sequence in your funnel. Which will sell them on a cheaper service or product if available. Or, if they do make a purchase, an Upsell sequence could end off the funnel for you. This sequence won’t hit them immediately, but only after they’ve had a chance to get comfortable with your product or service. Once they start to realize the true value of your product or service, they’re more likely to buy again. Creating your own funnel can seem like a daunting task. But if you follow this checklist, you’ll be just fine. You’ll need a good offer upfront. So the first step is figuring out what to offer your potential customers, and creating it. It’s important that your lead magnet doesn’t consist of information readily available on the internet. If it’s a struggle to find all the information and put it together, that’s fine. But if they could get the information in your lead magnet through a simple Google search, it won’t be very valuable to them. This mistake would destroy the relationship before it even starts. Their opinion of you would be set, and they’ll likely unsubscribe from your list at the first opportunity. The lead magnet needs to provide deep insight or real value to be effective. Ideally, it’s something the user can hardly believe is free. And so the list goes on. You’re only limited by your imagination. Once you’ve created a lead magnet, there’s no need to stick to it for life. You can always change it later. So don’t procrastinate during this step, or your funnel will never be finished. For now, just create something. It isn’t easy to build leads by creating and maintaining a blog. But it can be rewarding, especially if you also decide to monetize your blog through other methods. First, write out a list of topics your users would be interested in. For this step, you need to know them well, so do some research before you start. Take a few days, and write down ideas as they come. Once you have as many topics as you can possibly think of (200+ is ideal), it’s time to turn those topics into gold. 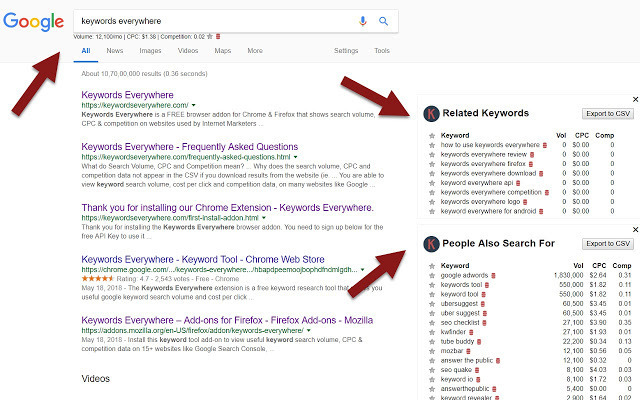 Use a research tool like Keywords Anywhere, and look for keywords on your chosen topics. Adapt them according to the keywords you want to rank. Delete the topics that don’t hold any SEO value. Now place these topics on a content calendar, and start writing. For paid advertising, the first step is to choose your platform. It’s up to you whether it’s Facebook or another social media/PPC platform. The basics remain the same. Create several ads to test against one another. 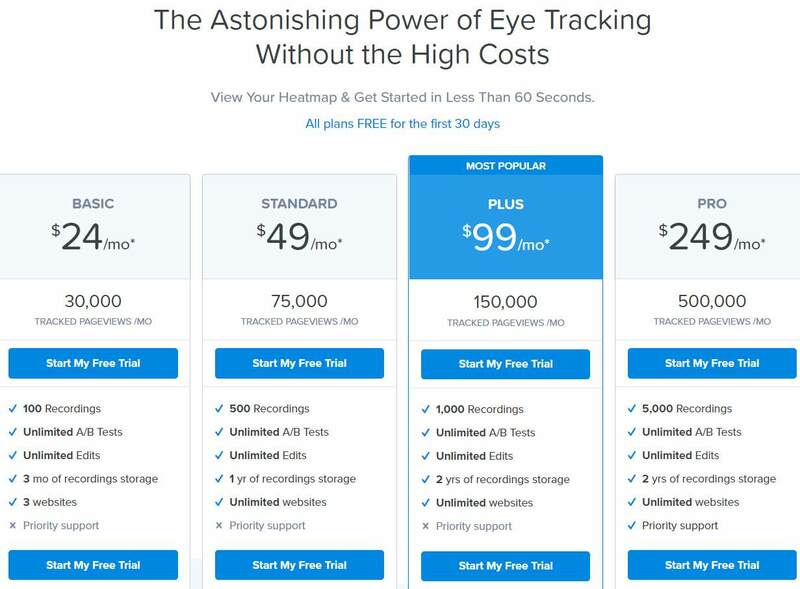 Once you’ve found a few that work, scale them up and check the effect on conversions/sign-ups. Then rinse and repeat. Different platforms have different rules. So make sure to do some research about what’s working on your chosen platform, and take it from there. Is your product or service high-end? Then you’re likely to need a longer nurture campaign. Are you more affordable? Make it shorter. Your customer’s lifetime value will impact most of what you do throughout your funnel, but we’ll take a look at that in the next section. For now, your nurture campaign can contain anywhere from 5 to 30 emails. After 30 emails, it’s really more of a newsletter, right? Figure out what you need to do to earn your lead’s trust, and do that. Two proven ways to build trust are testimonials and case studies. 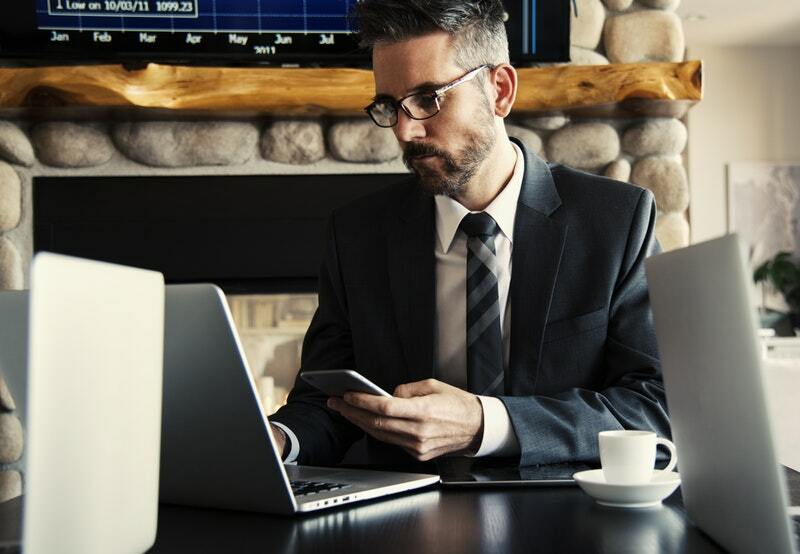 As long as you successfully connect with your prospect on a human level, your nurture campaign is a success. At this point, you’ll also want to choose email management software if you don’t have one already. Good places to start are Mailchimp and Klaviyo. 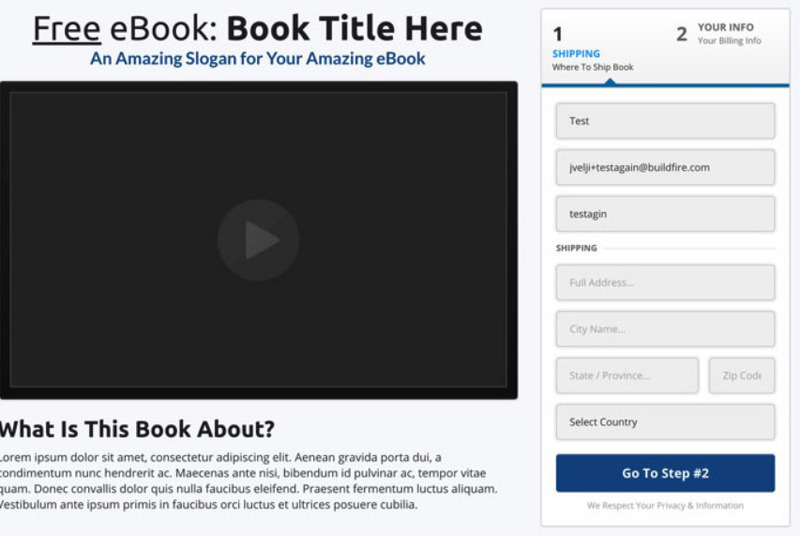 In this stage, you’ll have 2-5 email sequences and a sales page. This tactic is simple enough that there’s really no need to elaborate on it. No funnel would be complete—or even useful—without something to measure the success of the funnel. It would be like driving a car without a fuel gauge. You’ll only know there’s a problem after it’s too late. We’ll get deeper into what to track in a second. But here’s how to track your funnel. 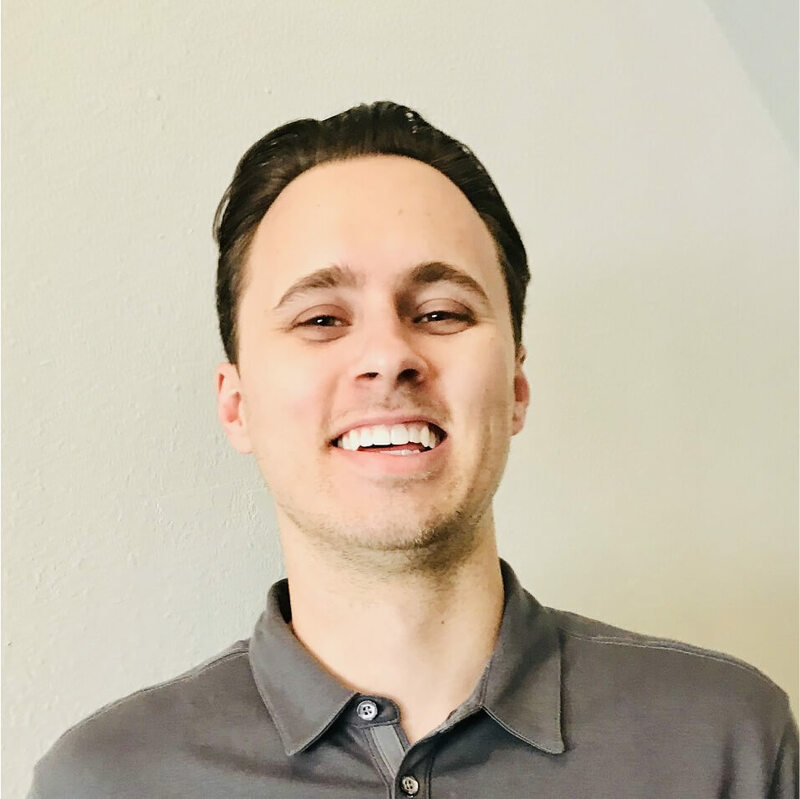 Most CRMs internally track funnel success. However, if you want to take things a step further, you could add Google Analytics to your stack. It’s an invaluable tool with hosts of insights, and you can track across platforms. So you can keep an eye on your overall funnel health. Some CRMs fall short in this department. So establish whether your CRM does as well as Google when it comes to analytics, then take the appropriate steps. While building and implementing your funnel, it’s vital that you run constant tests. Once everything is up and running, you’ll build a control group – against which you can test all future tweaks to your funnel. Then it’s time to check the results and see where the weakest performance is. 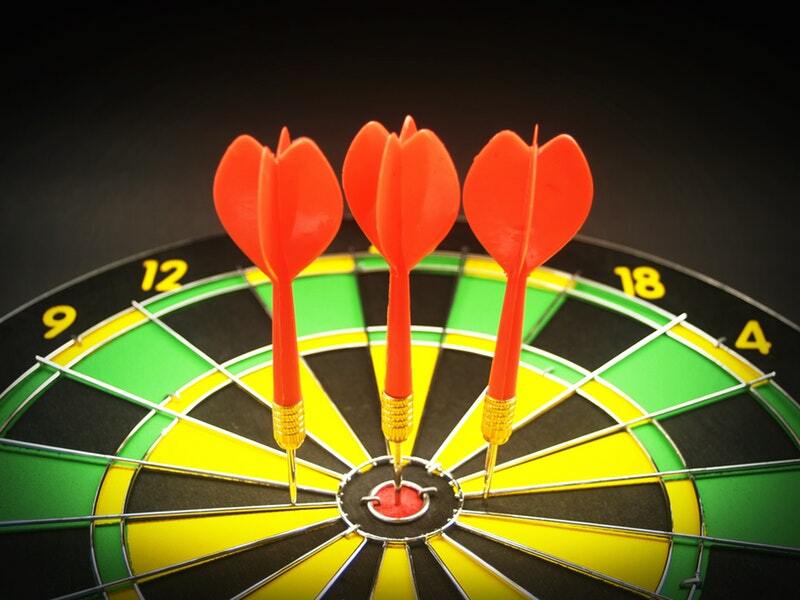 Whether the drop-off of leads is just after the lead magnet or somewhere in the middle, you’ll know where to focus. Create new materials, test them against the controls, and keep improving that funnel. Eventually, you’ll have your funnel running like a finely tuned money-machine. And even then, some continued testing is always a good idea. Getting accurate figures for each of these methods will create predictable forecasting. In turn, this tactic helps determine when it’s crunchtime and when it’s okay to focus on less valuable—but equally important—endeavors. But how do we measure each metric? And how do we connect the dots? Let’s take a look. Arguably, this metric covers the most important metric in your funnel. If you don’t have leads, the best salesmanship in the world is useless. This metric will tell you how healthy your top-of-funnel is. If you’re not getting enough leads, your focus needs to be here. Essentially, your conversion rates plus your leads entered equals your sales. And it’s simple to measure. Take your conversions, divide them by your leads, and multiply them by 100. In this example, let’s say we raked in 170 new customers in the same period as the above leads entered. So 170 / 2,946 x 100 = 5.77%. However, this tactic is ridiculously simple. For an accurate conversion rate, remember to consider leads that have completed the funnel, or you’ll get skewed results. And finally, remember that end-of-funnel conversions aren’t the only conversions that should be measured. 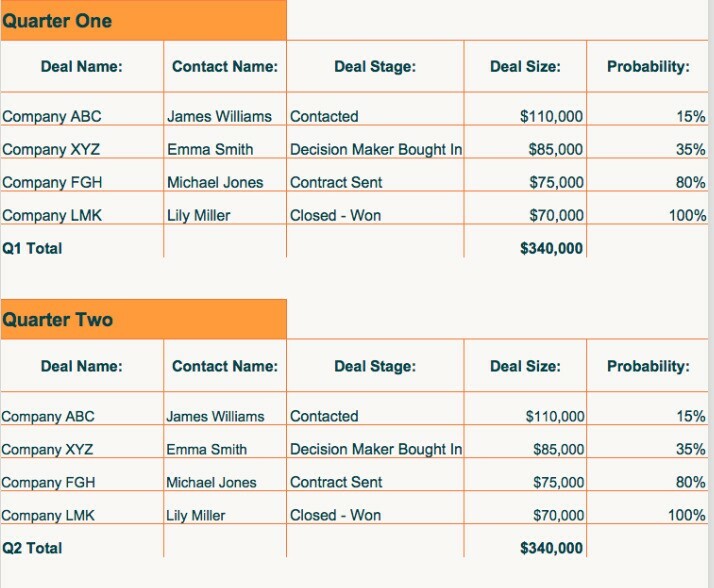 The leads are dropping off because of poor copy or sales tactics. Unqualified leads are being removed from the funnel (possibly to be downsold). Based on the results, we’ll determine a path forward. These two important metrics are squished together—because they go hand-in-hand. They’re used to calculate profits, which is what we work for, right? Customer value is easy for once-off purchases. Simply attach the value of the product to the customer. Your business can get more complicated with more moving parts, such as manufacturing costs and staff costs. But let the accountants worry about these details and focus on sales. Say you’re selling a software service. And you charge $250 per month. Initially, a customer is worth $250. Next, we want to work out how long a customer usually sticks with us. Let’s say the average amount is 8 months. (By the way, that length of time is too short, so we should look for the cause of the problem!) We could work it out as 8 x 250. But if things suddenly change for the worse, we’ll need to redo all our calculations. So let’s look at 6 months. It’s better to lowball than overestimate, I always say. So 6 x 250 = $1500. That’s our Customer Lifetime Value. That’s great and all, but pretty useless to us on its own. Pretty self-explanatory. 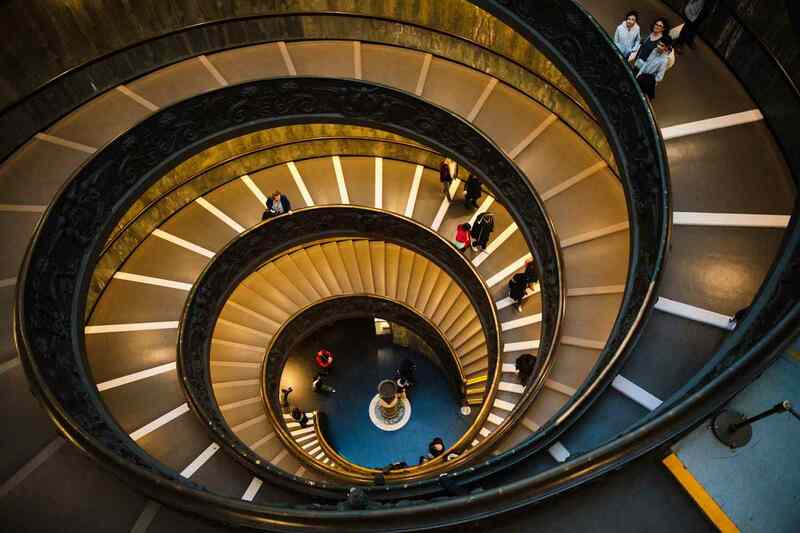 What does it cost us to drive a lead through our funnel and get the sale? Let’s say we’re paying a small team $4,000 a month to manage our funnel. We can equally split these costs between avenues. 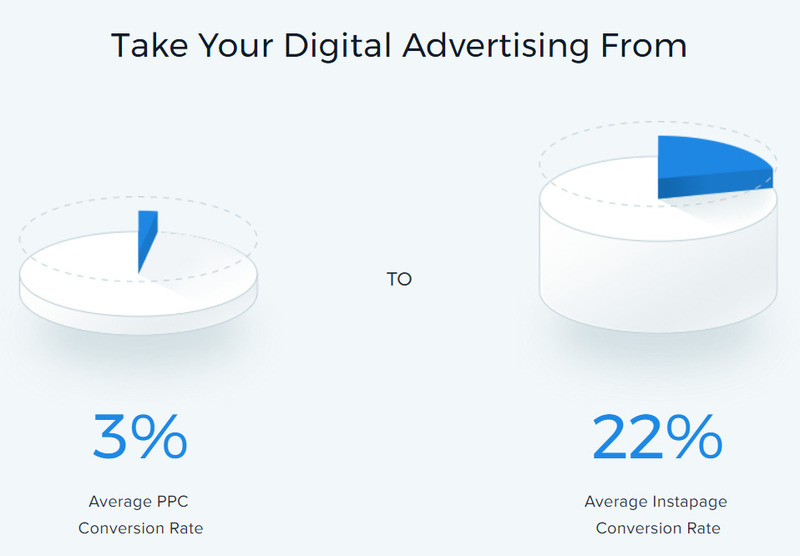 Or split them according to the percentage of conversions. It’s up to you. Anyway, we can see that we’re making huge profits on our funnel through both entry points. 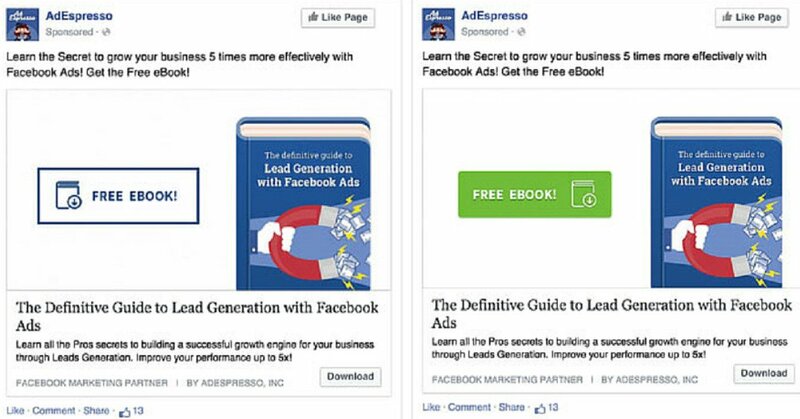 Sure, the website is making more raw profit, but it’s harder to scale than Facebook ads. 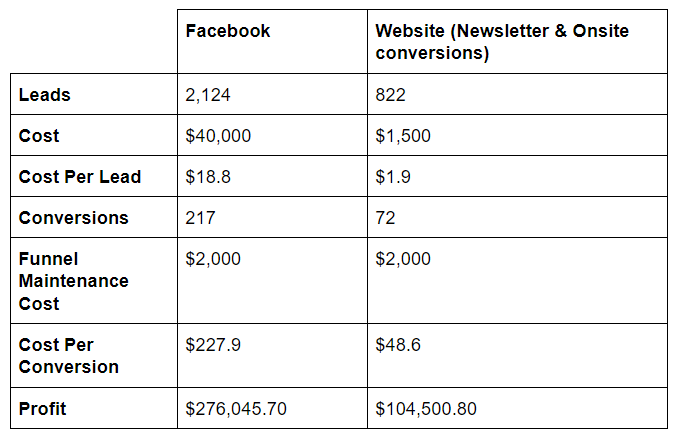 Then there’s a final metric to take into calculation: the initial funnel cost. Let’s say we get a good copywriter in to set the funnel up for us for $20,000. According to the above chart, we made a huge ROI in this quarter. So we’ve made an ROI of 19 already. Nice. This metric is important for forecasting. How long does it take from the time a lead enters your funnel until the time they purchase your service? Let’s say it takes 30 days. In that case, you can make accurate monthly forecasts. This outcome creates simple forecasting, and as you can see, you’re looking good next month. One of the best things about Marketing is that we get to learn from others. And sales funnels are no exception. Who better to learn from than marketing legend Neil Patel? 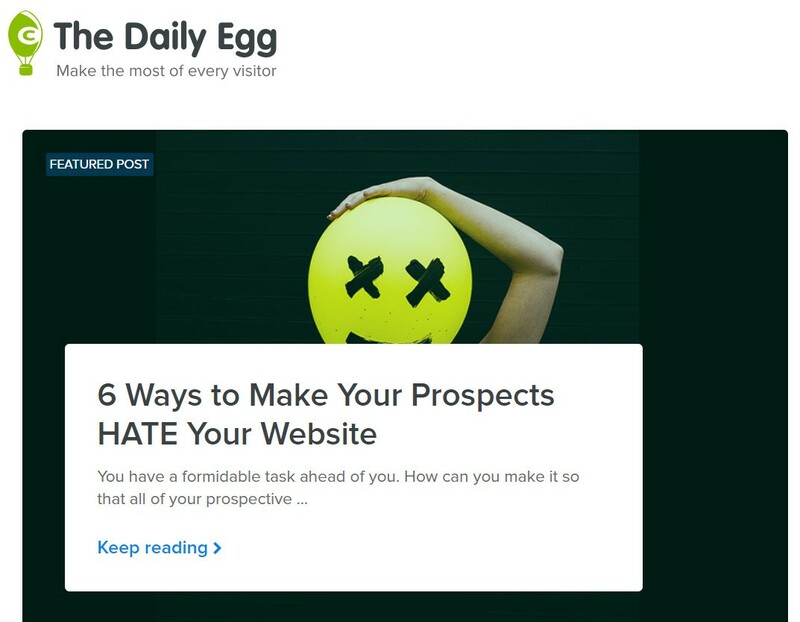 Crazy Egg has a great funnel that drives customers through the buying journey. And it all starts with the blog. And just like that, you enter a powerful nurture campaign: a Crazy Egg subscription. What’s Good about the Funnel? Honestly, everything. But this funnel really shines in its simplicity. Everything is clear and as as easy to understand as possible. It makes it a perfect example for your own funnel. With every piece of copy, the value proposition shines through. And while the homepage is basically just a signup form at first, it gives you the option to learn more before you subscribe—which is a much better option than a signup page on its own. In Crazy Egg’s funnel, it’s hard to find something to improve upon. One really has to nitpick to find something to criticize. Here’s the thing: Crazy Egg has been growing their revenue every year. And the funnel hasn’t changed that much since it first launched, which proves it’s working. But if there’s one thing that could be slightly tweaked, it could be a tad more descriptive throughout the funnel. 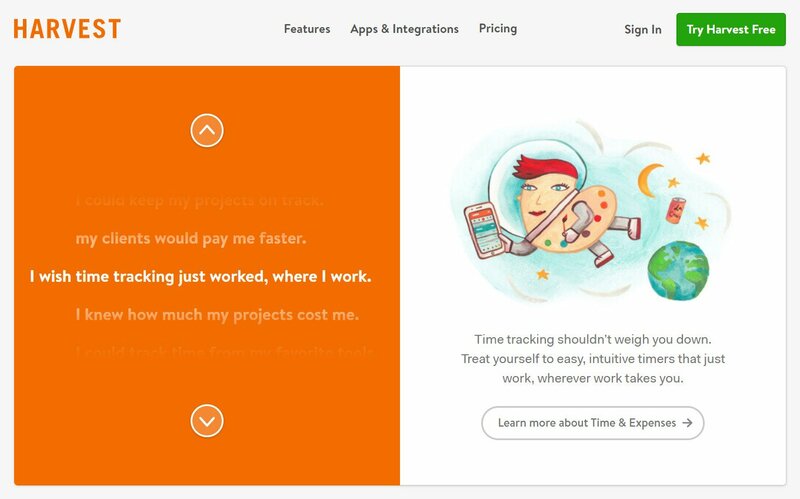 Harvest is time-tracking software that’s mainly built for companies who use freelancers. But many in-house teams have adopted similar software. Regardless, Harvest makes use of organic traffic to speed up growth. Their blog is regularly updated, which is indicative of its effectiveness. And again, there’s a clear CTA to join their mailing list at the bottom of each page. 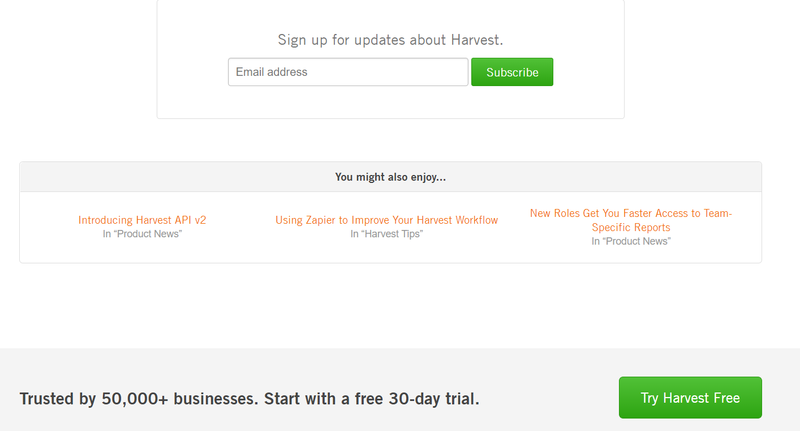 Harvest has a clear value proposition, which is again visible in all their copy. Right from the start, it’s easy to understand what Harvest offers you. Personally, I haven’t seen their emails. But judging from the quality of their top-of-funnel copy, the mails are top-quality. The CTA at the bottom of the blog posts could be more benefit-orientated. Both point toward takeaways that aren’t very beneficial to users. The question in each reader’s mind is: “What’s in it for me?” So hitting them with more personal, powerful, beneficial CTAs go a long way toward increasing leads that enter the funnel. Monday immediately communicates their main benefit: Be more organized. They’ve also been running YouTube ads that definitely drew my attention. The ads were effective, as they mainly focused on social proof. One ad also pictured satisfying events, such as pointing towards other benefits they offer. In addition, they have a blog with a CTA that scrolls down the page with you. Given the frequency of posting, they’re working very hard to quickly scale the company. First, they quickly communicate the chief benefit in both their video ads and their homepage. Secondly, their frequent blog posts are doing wonders for their SEO score. Plus, the floating CTA button is a great idea, as it keeps the signup top-of-mind throughout the blog post, although it could be considered distracting. So before we make a final call on it, let’s wait and see whether they change it. While the headline on the homepage works well with the subtitle and imagery, it wouldn’t be much use alone. 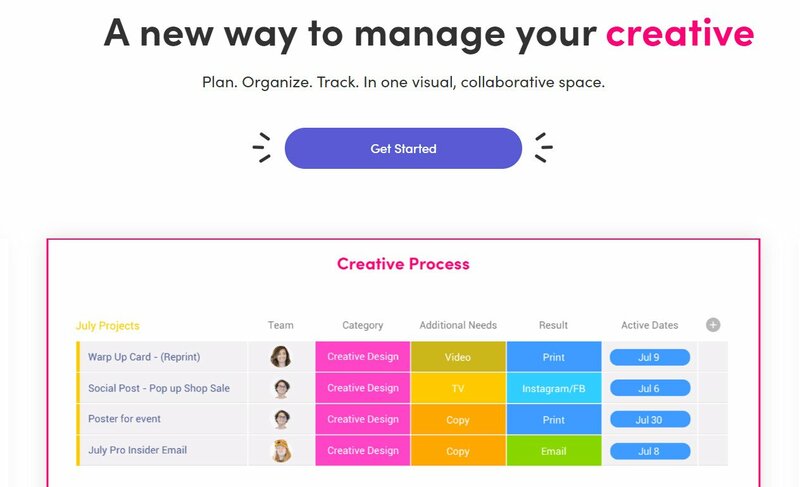 A new way to manage your creative doesn’t specifically mean a better way. So it would be worth playing with a few different headlines that focus more on specific benefits to the user. And there’s that floating CTA button that we’re still undecided on. 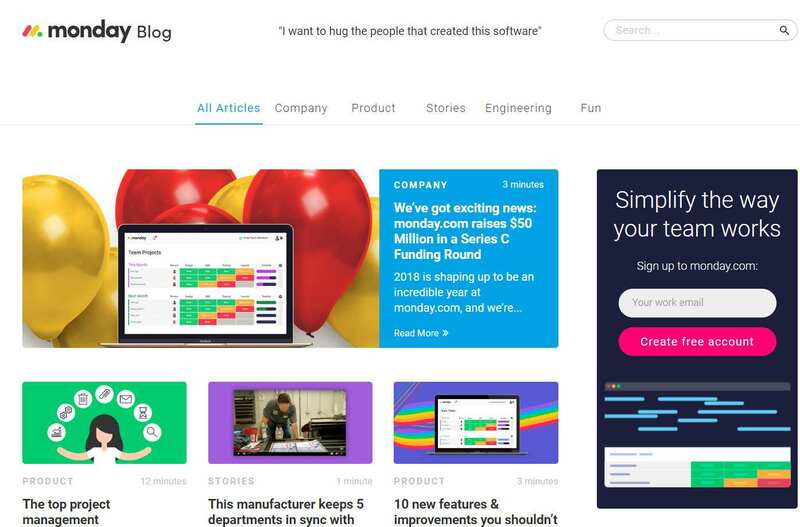 Basecamp is also project management software that has a unique approach to copy: Good humor. Okay, businesses commonly attempt to use humor in their ads. But it’s rare that they use it to good effect without destroying the sale. Basecamp speaks to the problems users are having. While it makes light of the problems, it still draws attention to them. And without hesitation, it points out they can solve these problems. They also have a traditionally organic funnel. While they do run some ads, they also use their blog to get some traffic. However, it seems minimal, as some posts don’t even contain a CTA (which can be good). Notably, their blog has a different brand: Signal v Noise (SVN). This tactic is odd, but not unheard of. But their blog is straightforward. No BS. Humor is often avoided in a copy. But every so often, a company pulls it off well. And Basecamp is one of these companies. 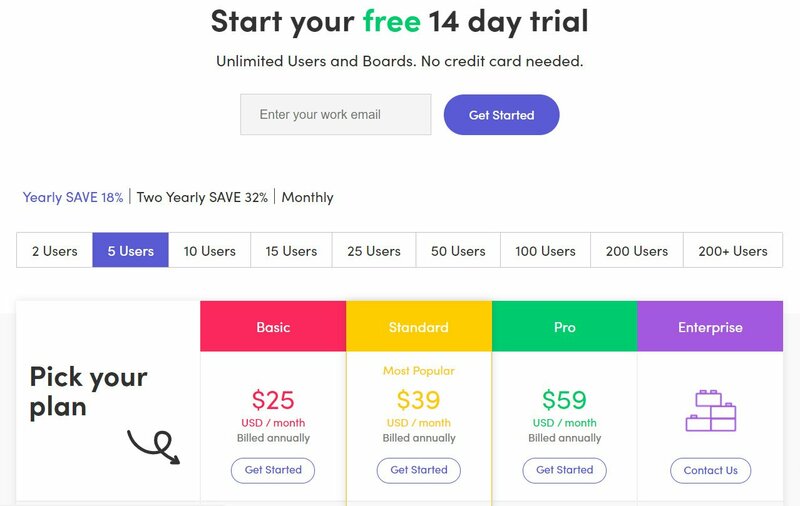 They have a unique cartoon style for their header image and frequently test different designs on their homepage. But from what I can see, basically, the same image has been featured since 2017. And it’s easy to see why: It illustrates the problem while giving the user both laughter and inspiration. SVN is a recognized website. Those backlinks to Basecamp are certainly good for SEO purposes. But if I could change one thing about this funnel, it’d be to also keep a blog on their main website for bonus SEO points. The headline “We’ve Been Expecting You” also doesn’t do much for me. It fits well with the style of the page. But I’d test a few different, more benefit-orientated headlines here. They also run a blog, which purely keeps users updated on changes in the business and software. However, they do have several CTAs around the website, all pointing towards a free trial. The homepage probably contains one of the best headlines in the list. It’s short and powerful, but it could be a little more specific. Undoubtedly, the blog should speak to the readers. They want value and/or entertainment. So just posting updates about the business could quickly bore the readers, and readership will drop, which in turn will cause leads to drop. Given the current state of the blog, it’s safe to assume that Planscape is operating on ads and/or referrals. 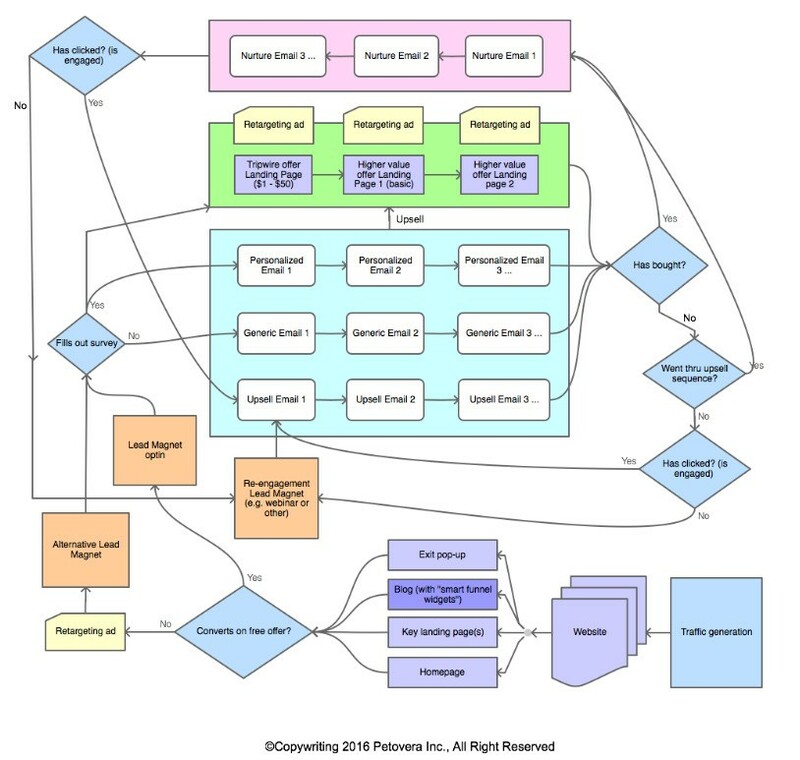 If you’re not comfortable creating your own funnel from scratch, the internet has you covered. Here are 5 templates that you can build your own funnel around now. This is a great example of a full sales funnel, from Autogrow and Petovera. It’ll help you build out a complete funnel that’ll help convert, retarget and upsell your leads. You can find more information and download the template here. This funnel from Clickfunnels will help you snag high-ticket clients. If you focus on making your product or service affordable, this one wouldn’t be much use to you. But it can be adapted to any business model. 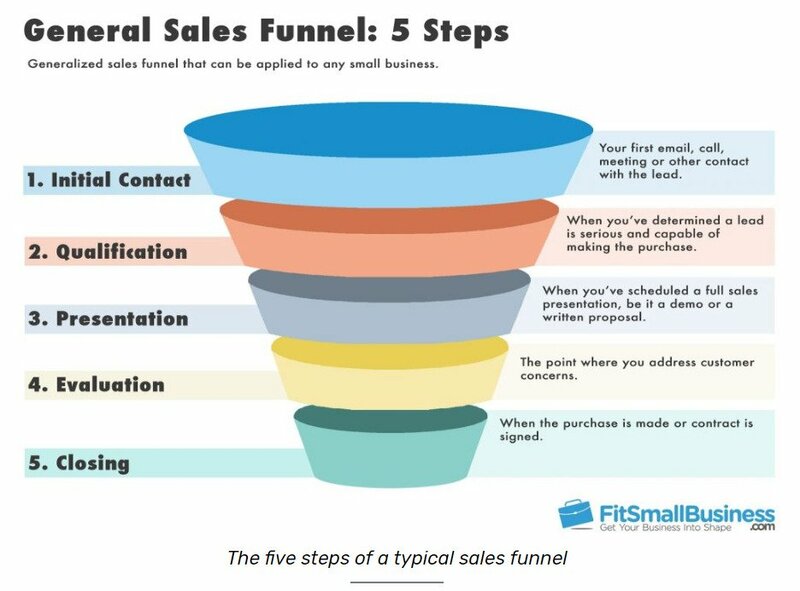 FitSmallBusiness has two funnel templates here. One is a 5 stage funnel (pictured above) and the other is a 7 stage funnel. Both are great, and each fit different preferences and business models. For example, if you have a simple offering, a 5 stage funnel might be all you need. If not, the 7 stage template could suit you better. Hubspot have built up a great reputation over the years. So you’d expect top quality from them in all they do. This sales funnel template of theirs is no different. Getting a book out there can stamp your authority on your market. But getting people to buy your book is a different story. The good news is that this funnel will help you connect readers to your book—at virtually no cost to you. 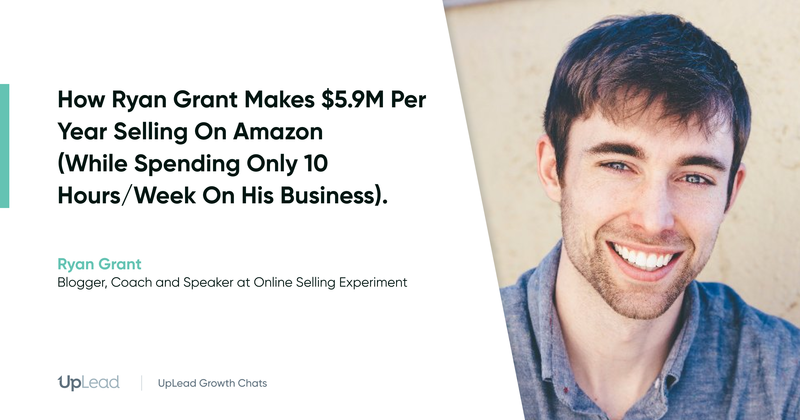 It’s designed to cover shipping, manufacturing, and low-end advertising costs while getting you more authority as an expert and more leads. Clickfunnels helps you on both ends of your funnel. It offers landing pages, sales pages, and more. However, your emails should be managed through a different portal. All the above templates are housed in Clickfunnels, which shows the power of the platform. There are hundreds of templates around Clickfunnels that you can use for anything your business is trying to achieve. Wishpond helps you throughout your entire funnel—from landing pages to email marketing. It simplifies the funnel-creation process and gives you a central way to manage all your funnel activities. Hubspot also helps you throughout your entire funnel. And there’s a free forever plan too. But when it comes to premium accounts, Hubspot is one of the more expensive solutions. However, it’s well-suited to the needs of larger businesses. UpLead helps you fill the front end of your funnel. By placing a huge emphasis on quality leads, it helps keep those conversion rates high and creates loyal customers. 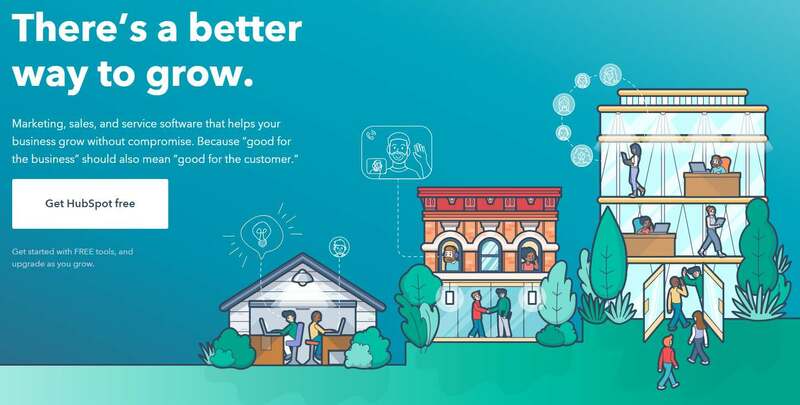 If you don’t have leads, your funnel is useless, which is why a good lead generation platform (such as UpLead) is crucial to your funnel’s success. 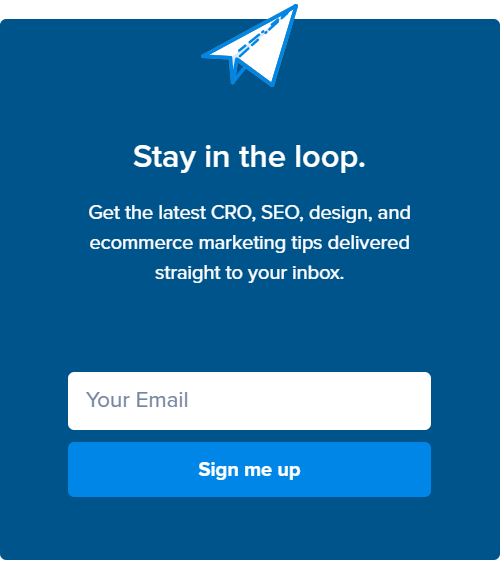 Instapage competes with Clickfunnels by helping you set up your funnel’s web pages. 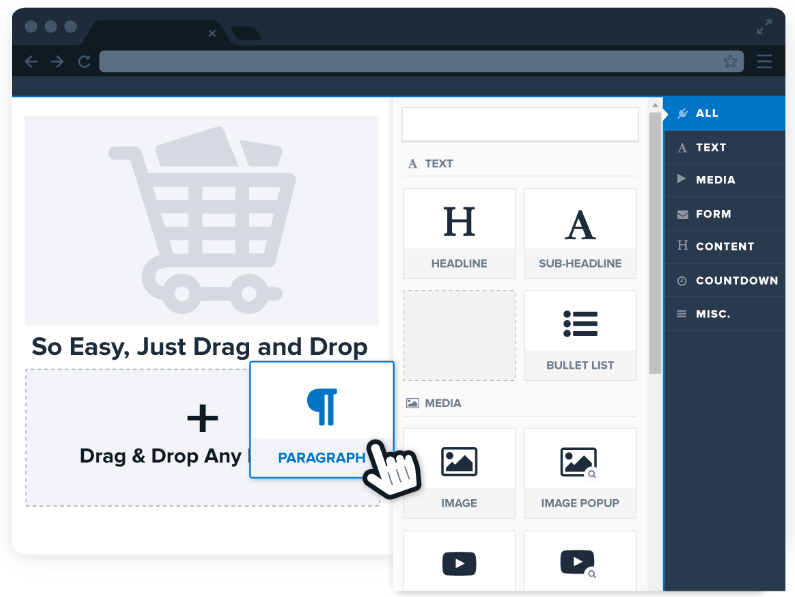 Instapage has an easy-to-use page builder, and a host of other features that’ll help you build the perfect web page. When it comes to selecting the right page-builder for your website, there are many options. But since most of them offer free trials, it’s best to test them and decide for yourself. You’re ready to go out and create a killer funnel of your own. Whether you want to grow your business or increase your presence in your market, a good sales funnel will help you get there. Maybe you just want to make sure you’re not losing money by not having a funnel. Remember, I’ve personally seen a sales funnel that only cost $1k to produce generate $25k a month. So start working on your funnel now. You could be losing out on revenue without one.